I read this article and found it very interesting, thought it might be something for you. 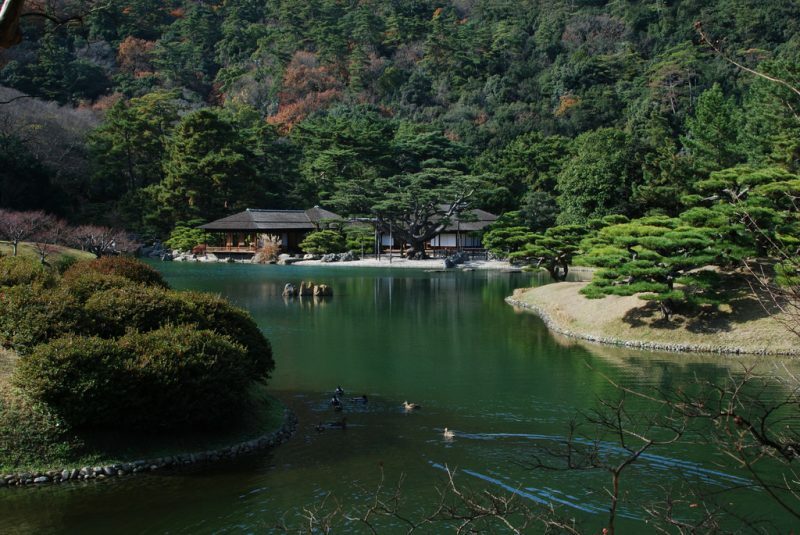 The article is called 15 Things to Do in Takamatsu and is located at http://trip-n-travel.com/listicle/11506/. Whoever said small prefectures were boring has obviously never been to Takamatsu. 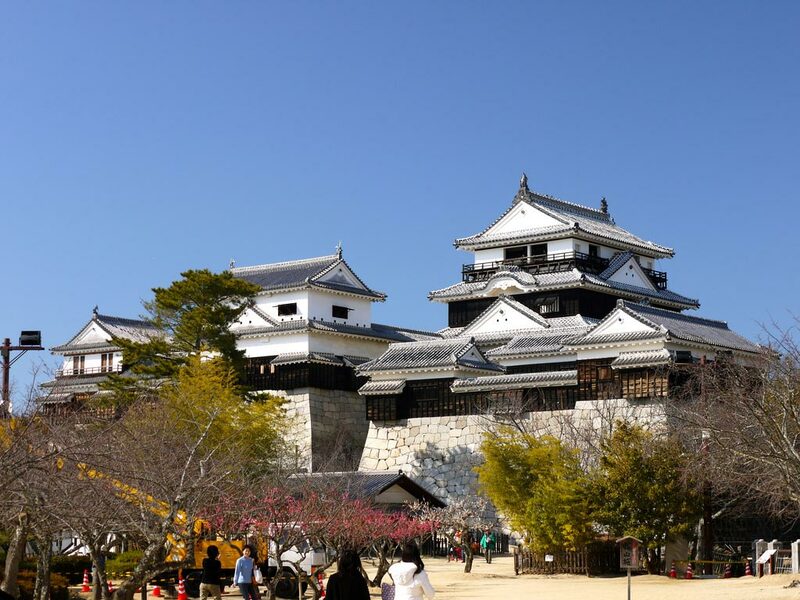 As the capital of Kagawa, the smallest prefecture in Japan, Takamatsu is a lively city with various attractions to see, cultural activities to enjoy and delicious food to try. Not quite sure where to start? 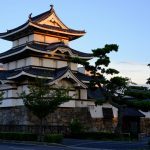 Check out some of our must-do activities in Takamatsu. Dance the night away at the Sanuki Takamatsu Matsuri! A popular yosakoi dance festival that takes place annually on Shikoku Island, the Sanuki Takamatsu Matsuri draws a huge crowd of locals and tourists alike. Former residents return to visit ancestral graves and take part in the festivities, which features over 4000 performers and a fantastic display of fireworks. The festival takes place from August 12 to 14. Built during the Edo Period by local feudal lords, the Ritsurin Koen is a arguably one of the country’s most beautiful landscape gardens. Situated in Takamatsu City, the spacious complex offers gorgeous views of serene ponds, historic trees and breathtaking pavilions. Don’t forget to stop by the teahouse for a quick refreshment. 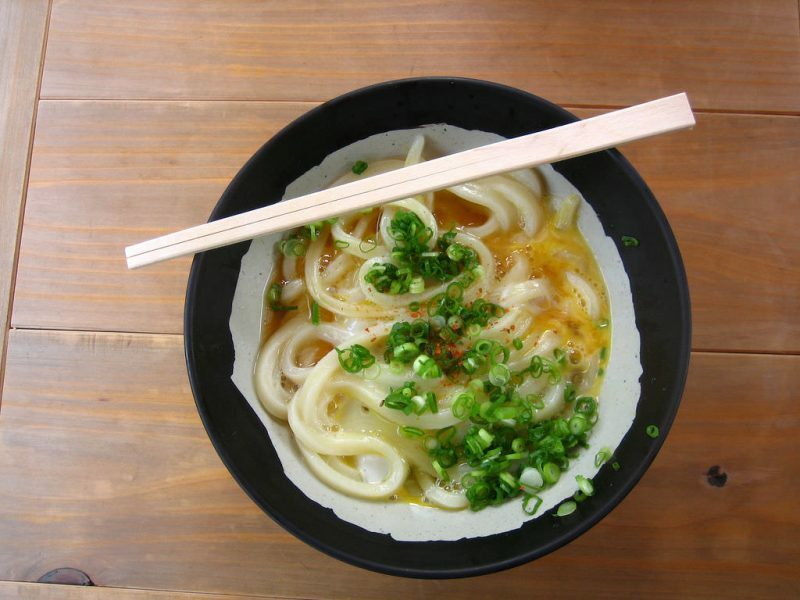 You absolutely cannot leave Takamatsu without enjoying a bowl of Sanuki Udon! Notably one of the tree most udon noodles of Japan, Sanuki Udon is known for the special locally grown wheat used in the noodle making. The result is a firm and chewy noodle that goes splendidly with a dipping sauce when served cold or in a delicious steaming broth with various toppings. Seriously, you don’t want to miss out on it. A small mountain island, Ogijima is located in the lovely waters of the Sento Inland Sea. . 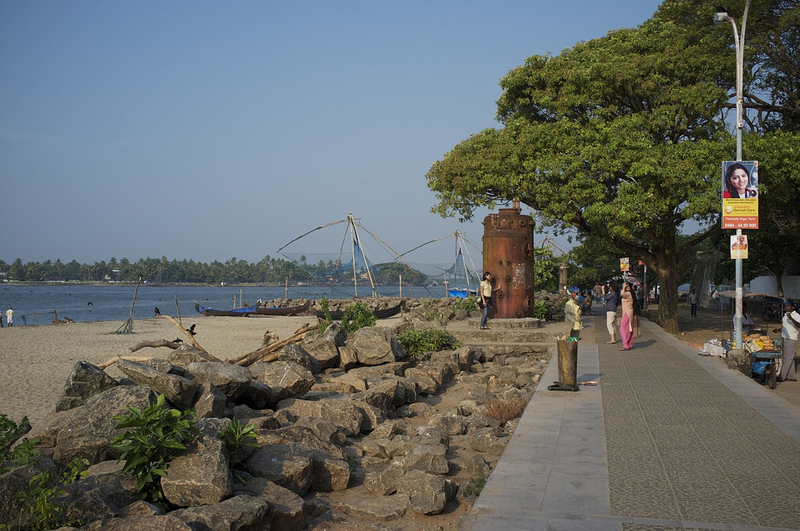 The village, home to a small population of 200 people, is a fantastic place to visit for a quick day trip. Take it the incredible panoramic views from the island and explore local tourist sites such as the lighthouse and traditional wooden houses. 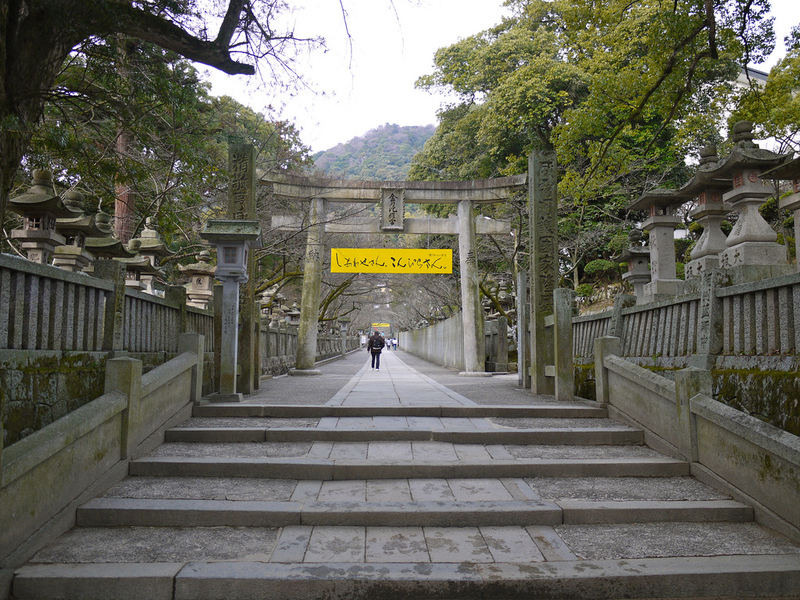 A climb up the mountain will also reward you with the beautiful sight of the Toyotamahime Shrine. 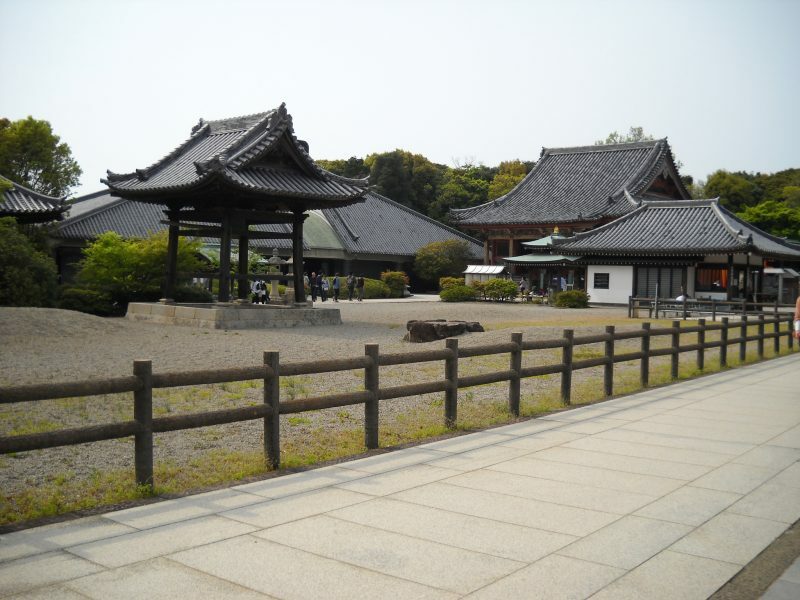 Discover the rich culture and heritage of Takamatsu at Shikoku Mura, an open air museum nestled at the foot of Yashima. Most of the exhibits in the museum date back to the Meiji and Edo Periods and include traditional work facilities such as sugar cane presses or soy sauce production workshops. Also included in the museum is a fully preserved kabuki theater, a suspension bridge made out of vine and a small art gallery. Happy exploring! 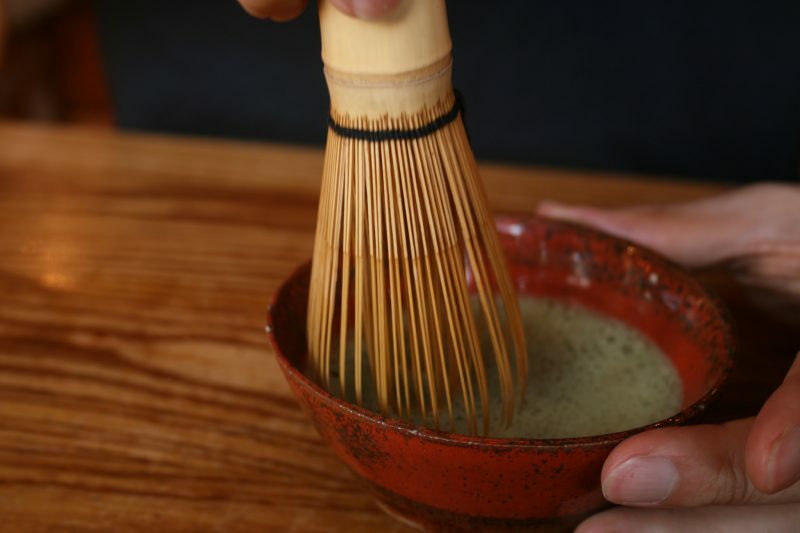 Since Takamatsu is home to a handful of historic tea houses, it would be a shame not to try some traditional matcha tea during your visit. Whether you’re watching a full on tea making ceremony or just enjoying a quick cup of the warm and soothing liquid, the taste of Japanese matcha will certainly be an unforgettable one. Enjoy the idyllic garden views that typically come with 17th century tea houses while you’re at it. Regularly referred to as the sister island of Ogijima, Megijima is a small island that lies just a few minutes off the coast of Takamatsu. 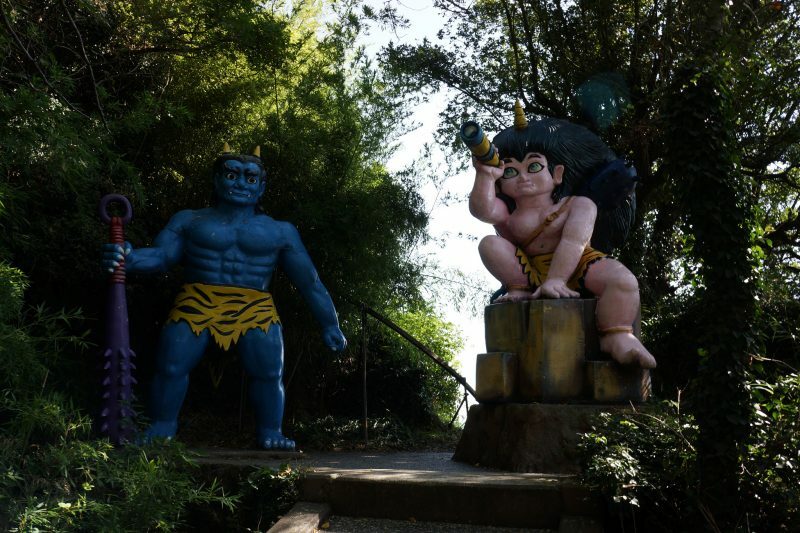 Megijima is colloquially referred to as Ogre Island due to several legends about a young boy fighting the fabled creatures. It is said that the former ogre’s fortress can still be found near the highest peak of the island and makes for an exciting point of exploration. 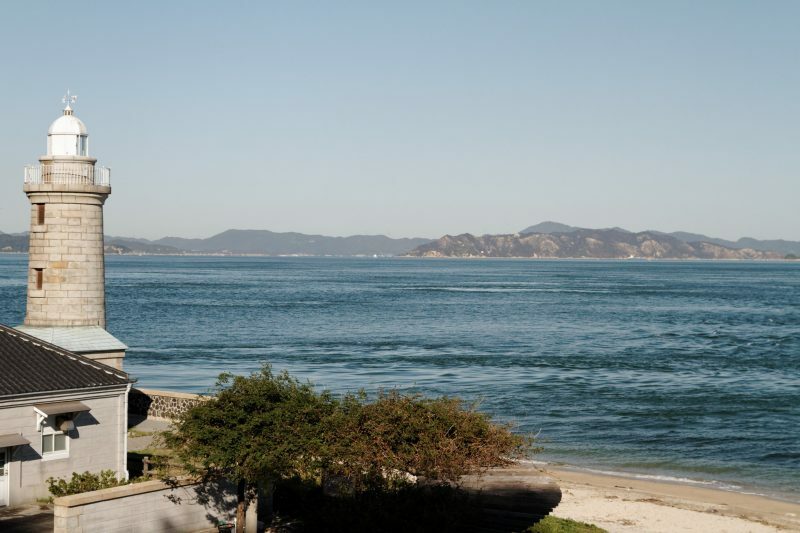 Every three years several islands surrounding the ports of Takamatsu are transformed into brilliant art installations by international and local artists for the Setouchi International Art Festival. 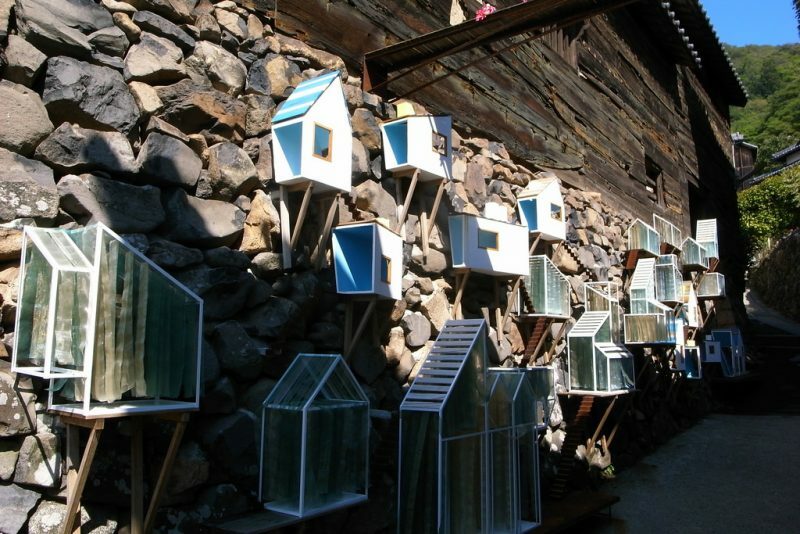 Magnificent works of contemporary are installed into the existing villages or landscapes of the islands. Not only is the festival a terrific by the organizers to revitalize the region in a creative and sustainable way, the art is also magnificent and fantastic exposure for artists involved. Calling all shopaholics! At the center of Takamatsu City is a 2.7 long kilometer shopping paradise! 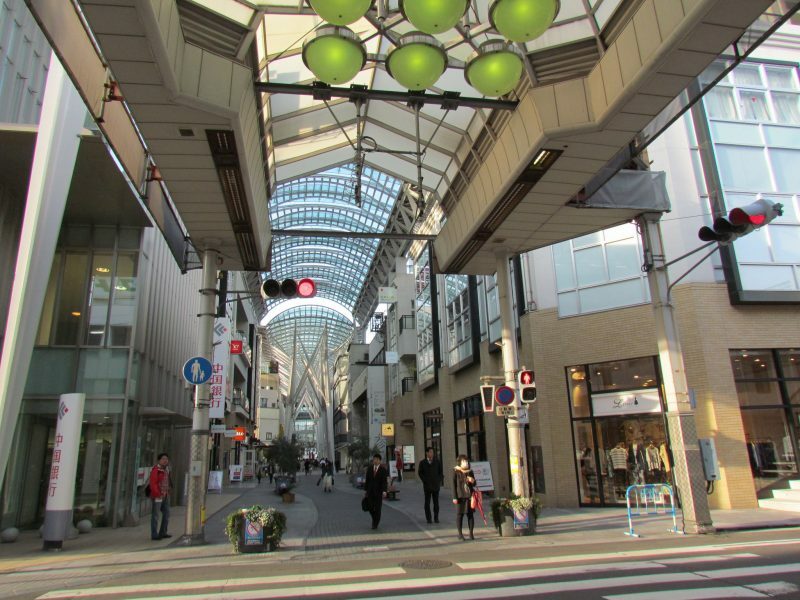 Said to be the longest covered shopping center in Japan, the arcade offers a variety of shopping opportunities from luxury brands like Coach and Louis Vuitton to local crafts and bargains. You can even pick up the perfect souvenirs to give as gifts at home at this shopper’s paradise. 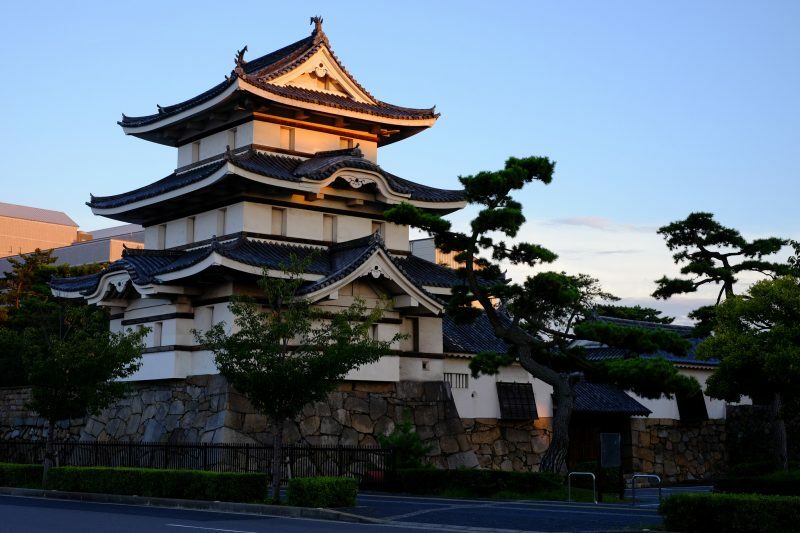 Head to the Takamatsu Castle and explore a unique yet traditional castle ruin circa 1590. The castle is one of the few existing in Japan to have been built along a waterfront. As such, it features some lovely stand-out architectural beauties such as its saltwater moat and a gorgeous foundational water breaking wall. Inside, visitors can marvel at large tatami rooms, old government offices and a community hall. The castle even plays host to regular tea ceremonies! Who would have thought that you could find delicious casual French food on a small island off the coast of Takamatsu? A funky, chic and homey restaurant located on Ogijima Island, Bistro Iori is owned and operated by a young husband and wife tandem. Working with a locally grown and procured concept, Bistro Iori uses fresh ingredients bought directly from Ogi’s fishermen and farmers. Some of the ingredients are even grown by the restaurant owners themselves. Even the restaurant was built by the owner, Mr. Maeda, out of recycled materials. Talk about dedication! Admire and meander through the former home and workshop of the prominent sculptor and landscape designer, Isamu Noguchi. For nearly 65 years, the Japanese American artist contributed stunning works to the international community like the garden of the UNESCO Headquarters in Paris and the Hiroshima Peace Park’s bridges. At the Isamu Noguchi Garden Museum, you can learn all about his life, his works and gain insight to his artistic process. Comprised of several buildings, the Yashima Temple sits near the peak of Yashima Mountain and is one of the temples on the Shikoku Pilgrimage. 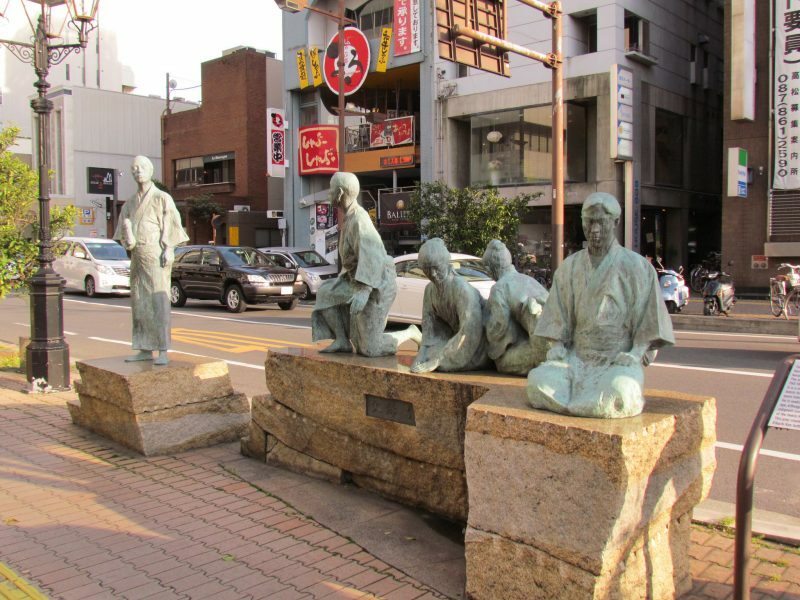 At the museum, you can spot interesting statues, various buildings that look to be from different eras and visit a small but phenomenal museum filled with Yashima’s historical artifacts. You can explore the trails of the mountain to get to the summit or, if you’re not up for physical exertion, take a car up. There’s something very alluring about seeing rows upon rows of various kinds of alcohol. At Amazon, you can enjoy your favorite drink at an incredibly reasonable price and even have a chat with the entertaining bartender/owner of the establishment. Known to be the unofficial foreigner’s bar in the city, a nightcap at this joint also opens doors to meeting new people and fellow travelers. Definitely worth a visit, the Takamatsu City Museum is home to an impressive collection of art work that perfectly encapsulates how far Takamatsu’s art community has come. The museum is located in what used to be a bank and boasts regularly rotating national and international exhibitions. Curatorial genius is abound in this fantastic cultural gem. 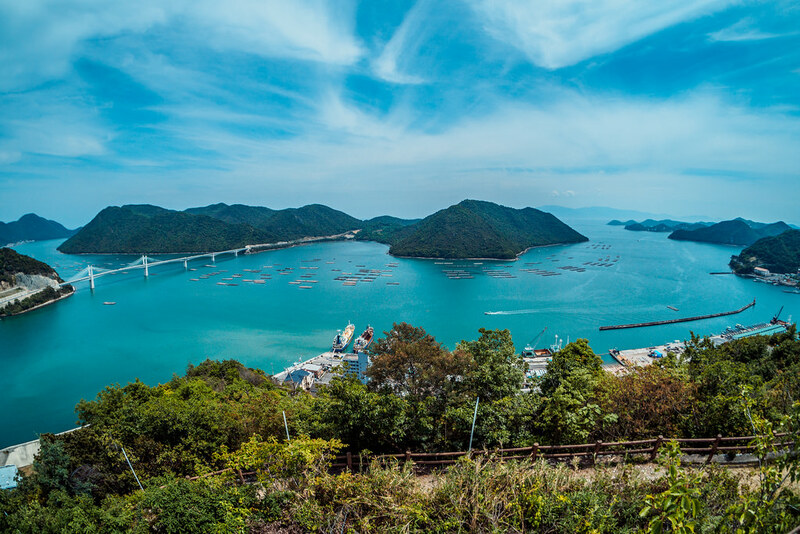 Whether you’re drawn to the thriving artistic community in Takamatsu or want to get in on the island life and community enjoyed on Megijima or Ogijima, we’re absolutely certain that your excursion to this city will be relaxing and absolutely enjoyable. This part of Japan is the perfect place to head to when you’re looking for a breather and a slower pace of sight-seeing away from the larger and more crowded cities of the country.